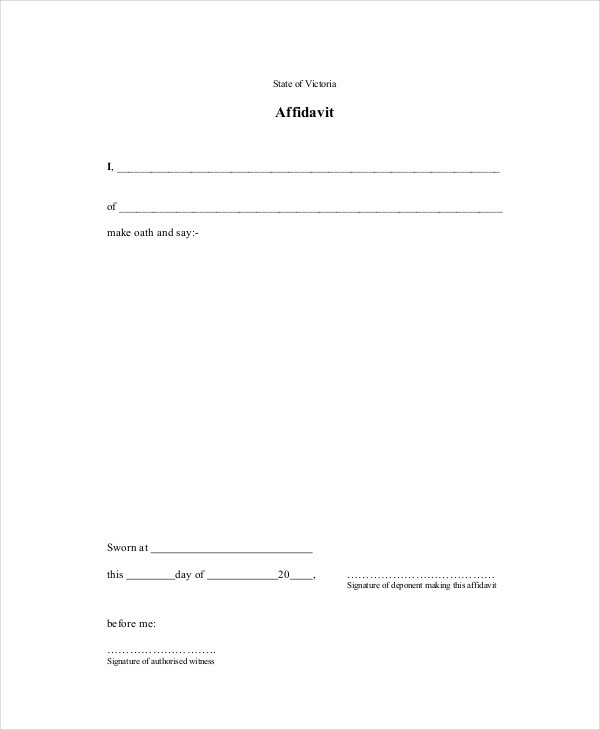 Statements are accounts of information and facts which can be delivered through writing or orally. Basically, statements are meant to define or express something usually presented to a specific audience. This source includes a few statement examples which can be used as a reference. 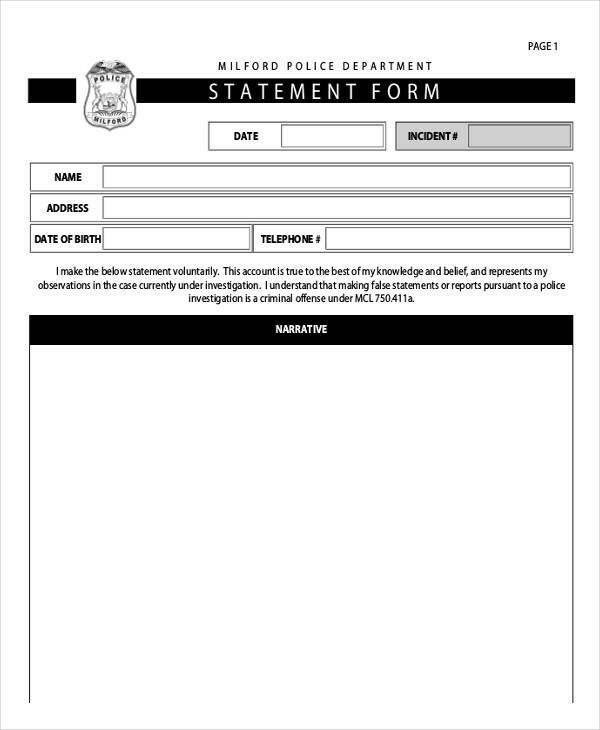 A witness statement is a personal account of a facts regarding an incident. 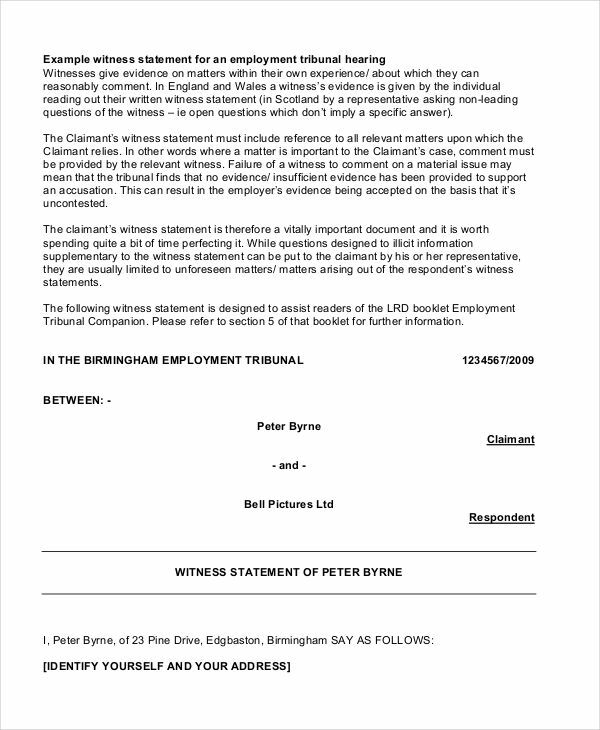 Typically, witness statements record’s the evidence presented by a witness. 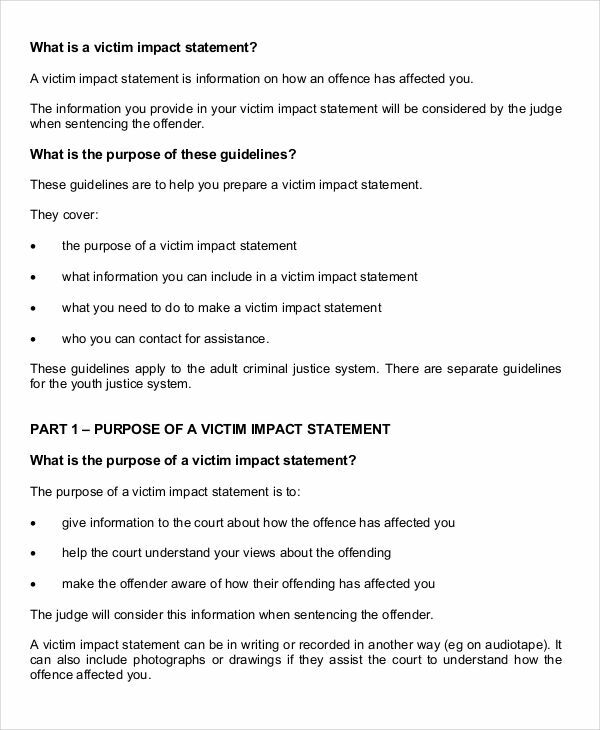 Like victim impact statements, witness statements can be used in the court of law, especially during a trial. A character witness statement is a written statement which basically allows the writer to recommend a reduction of the accused or defendant’s sentence. Character witness statements carry a person’s impartial testimony of the accused person’s right to be granted of a sentence reduction. In character witness statements, the witness emphasizes the accused person’s positive character traits, despite having committed the crime. Witnesses ought to provide an impartial opinion based on his/her observations, so that the judge may be able to decide after considering the accused person’s side of the story. Why Is a Witness Statement Important? Usually, in a criminal investigation report, a witness is asked to write a witness statement which summarizes his/her oral statement to be delivered during a court proceeding. In a witness statement, the witness provides information or evidence based on what he/she have witnessed when the particular incident or crime took place. Witness statements are given to assist the court in uncovering the truth behind the incident. Witness statements are formal report statements signed by the witness, serving as reliable sources of information and as proof of an accused person’s innocence or guilt in a legal proceeding. For clarification, you may observe some witness statement examples in word found in this source. Witnesses must provide the truth to the best of his/her knowledge when writing a witness statement in order for it to be considered reliable. This, however, may put a lot of pressure on a witness. 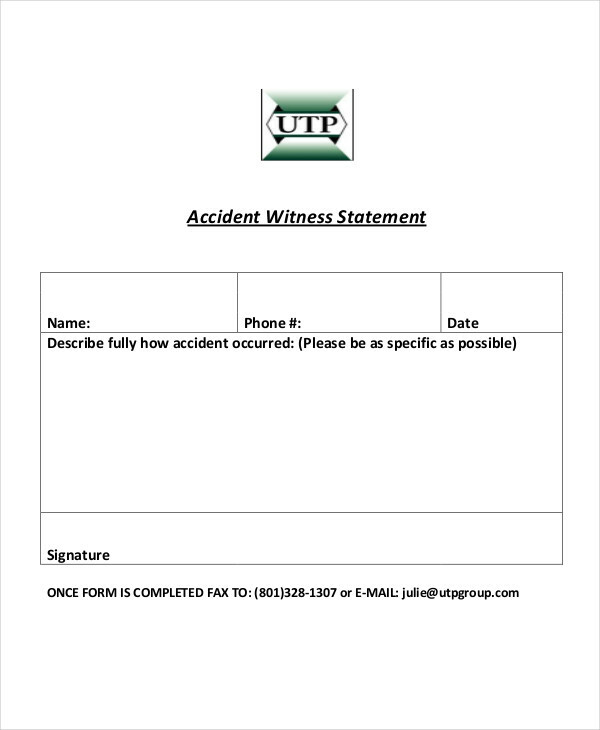 In order to overcome the pressure, here’s a guide in drafting a witness statement. 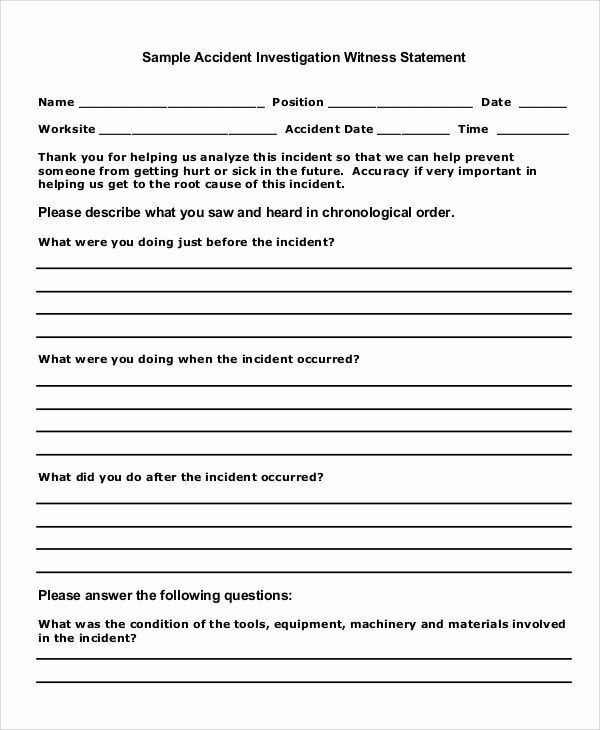 Carefully recall the events of the incident reporting. Recall what happened, where and when it occurred, and who were the persons involved. Write down the relevant facts you recall. Make sure you don’t include biased opinions. Create a detailed timeline to organize the information you wrote. Make your statement short and use simple language. Write in a formal manner, and if possible, avoid using legal terms or words. Avoid using passive form in sentences. Carefully present your statement examples in pdf. Avoid using “we”. Avoid phrases expressing your state of mind (e.g. “I thought” or “I believe”). Avoid making paragraphs. In writing your witness statement, write one sentence per paragraph. Review and revise your statement as necessary. Make sure you have written all the relevant facts based on what your recall. Correct errors in spelling or grammar, and other errors you find. 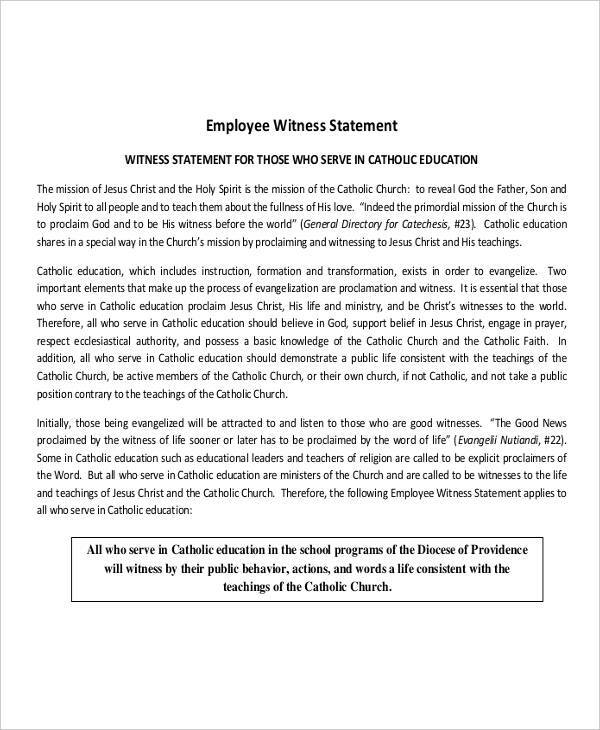 Validate your witness statement. 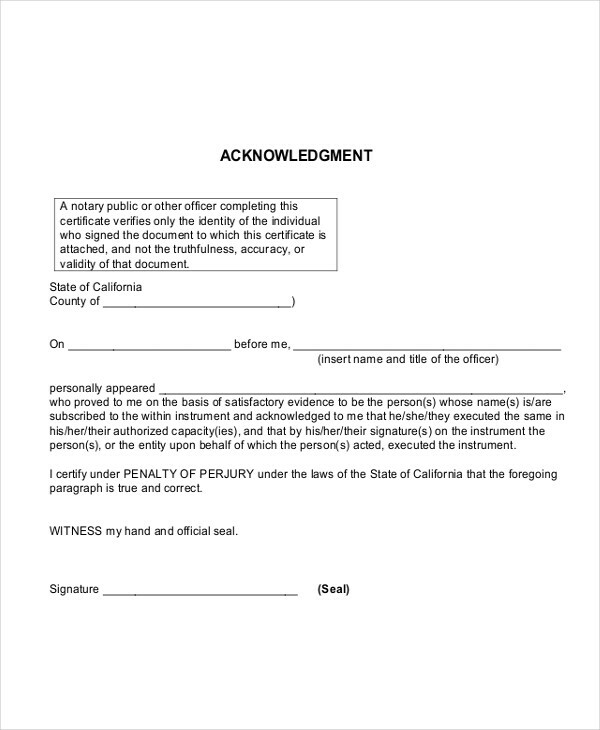 Provide your full name and sign your witness statement.